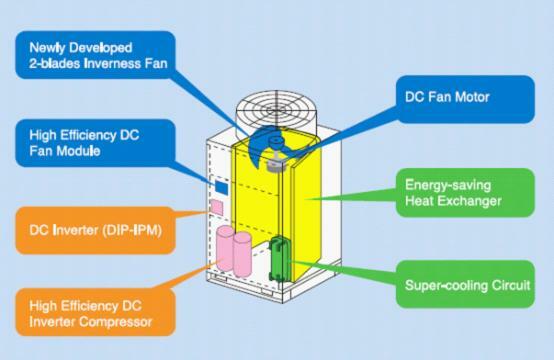 SET-FREE Energy Conservation Pioneer is high quality central air-conditioning system, developed for large scale space .It applies R410A refrigerant and advanced technology of scroll compressor and system optimization design. which makes the system more stable and reliable. SET-FREE Energy Conservation Pioneer series are widely used in office &government building , large scale commercial space. *Release valve adoption prevents from over compression. *Orbiting scroll lifting force optimization is improved and leakage loss is reduced. The operating speed of DC motor in compressor can be adjusted continuously and freely relating to the variability of system capacity and accurately in 1HZ increments. This technique integrating with auto-adaptive control technique integrating with auto-adaptive control technique automatically adjusts capacity output according to actual air conditioning load in order to achieve a smoother curve of temperature fluctuation to satisfy higher requirements of coziness. 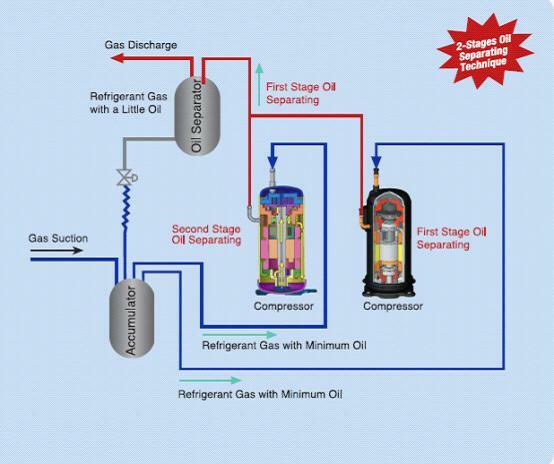 The originated 2-stage oil separating technique adopts Hitachi proprietary compressor which has efficient function on oil separating to conduct the first stage oil separating. The system can operate safely and reliably. 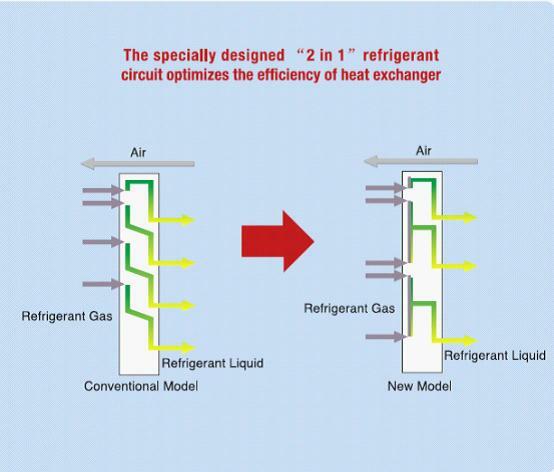 The specially designed“2 in 1”refrigerant circuit optimizes the efficiency of heat exchanger. 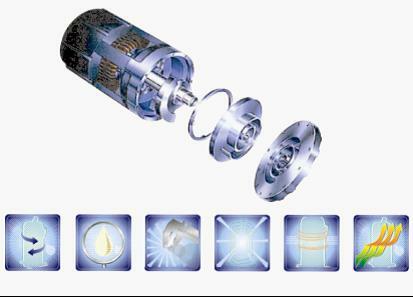 The two-stage super-cooling circulation technique improves the units’ performance and the efficiency of heat exchanger as well. DIP-IPM inverter makes a significant improvement on heat emission. It achieves smaller thermal drift which reduces the impact on control precision and increases stability and lifespan of the air-conditioning system. The optimized matching design in each part ensures a high COP value both in cooling and heating period. 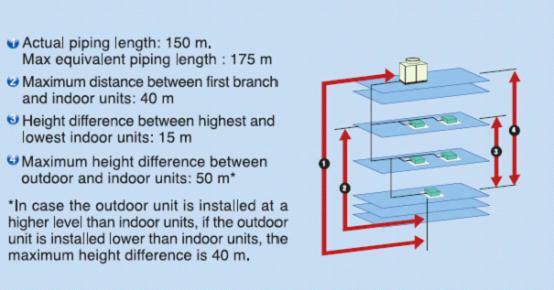 For FSN1Q series, the actual piping length is extend to 150m,The highest difference between indoor and outdoor units reaches to 50m,which ensures an easier installation. 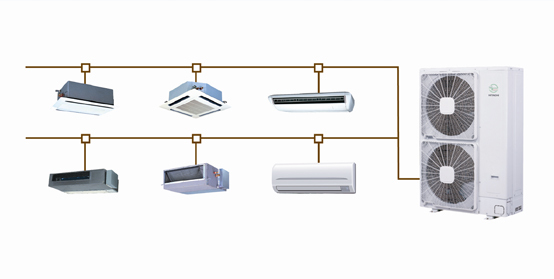 Wide capacity range of outdoor units enable free model combination relating to the actual condition of specified building. There are various types indoor units for selection. Planners can choose appropriate type and capacity indoor units according to indoor decorations and functions.